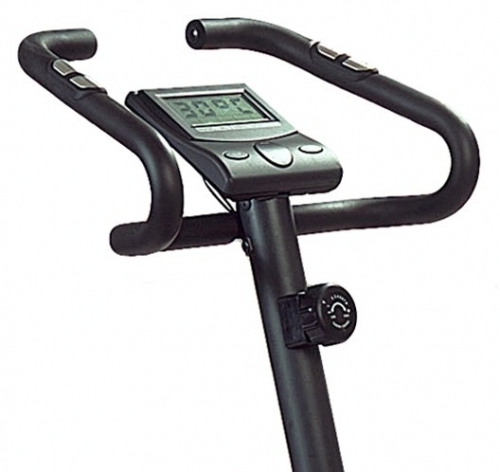 Take a ride on the Multisports CC-3000U Cardio-Cycle Upright Bike. Multisports Cardiovascular Equipment is made with only high quality components to create smooth, quiet, and durable exercise machines. Heat treated components, sealed self-lubricating bearings, and high density foam upholstery provide smooth motion, long lasting comfort and durability. Sturdier construction, flashier console. Accommodates users of all heights. The Multisports CC-3000U Exercise Bike's impressive console programs allow you to track temperature, RPM, speed, time, recovery distance, calories burned, and pulse rate. This bike uses an enclosed, cable-operated permanent magnet for resistance and has super-smooth poly v-belt transmission. The durable frame has welded and heat-treated components that extend the life of the machine. The front-mounted wheels provide a convenient way to move your bike around. The Multisports CC-3000U handlebars are long with a deep, wide arc, accommodating a wide range of riding positions and rider heights. The contact sensors are conveniently located directly on the seat-side handlebars. The eight-position adjustable seat has a chrome-plated steel post for durability and smooth action. The Multisports CC-3000U features a manual tension knob, comfortable and contoured high density padding in the seats, and self-leveling pedals. The drive system bearings are sealed and self-lubricating. Call 1-800-875-9145 to speak with one of our fitness advisors or Go to FitnessZone.com today to order your Multisports CC-3000U Cardio-Cycle Upright Bike! 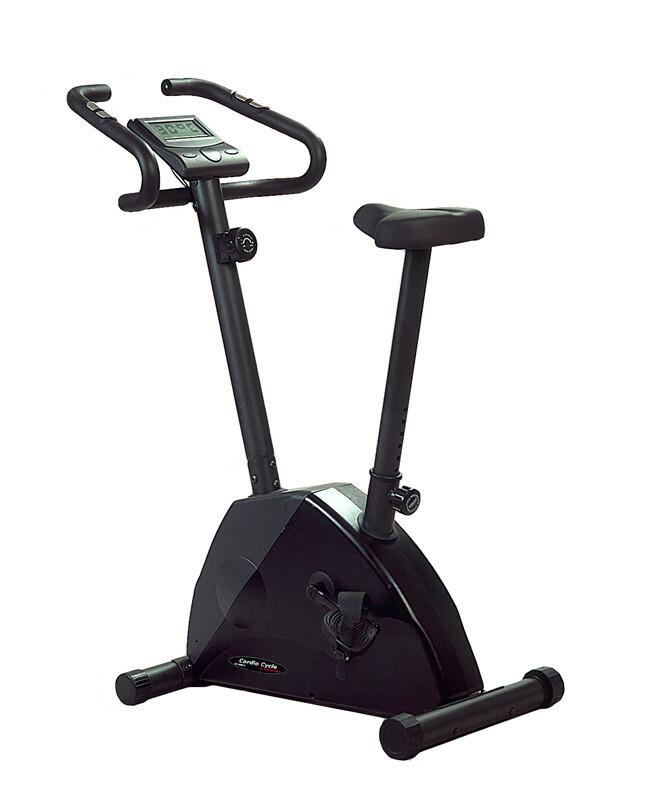 Order your Multisports CC-3000U Cardio-Cycle Upright Bike from FitnessZone.com today!